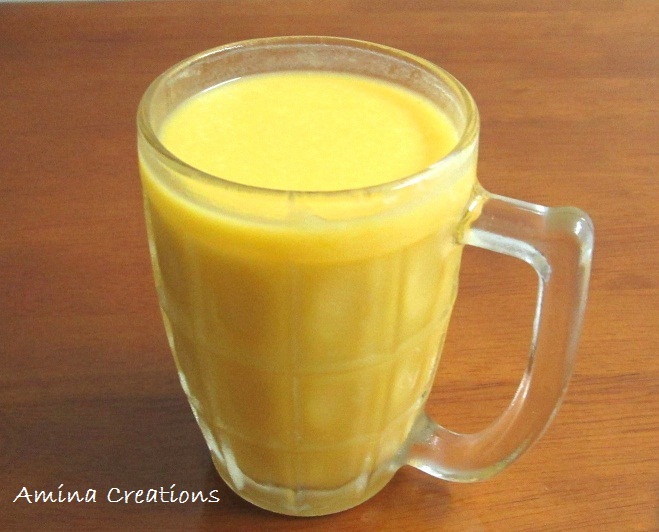 Mangoes are in season now and there are plenty of recipes that we can try with mangoes. I often make mango milkshakes or have it as a fruit salad but for Iftar I wanted to try out something different. So I made a shake with mangoes and ice cream. The result was mind blowing and the drink was creamy and delicious. Peel off the skin from the mango and cut the mango into small pieces. Transfer the mango pulp to a large glass. Add ice cream and mix well.